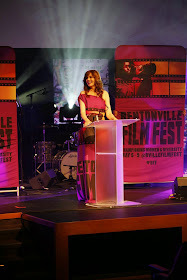 Stella Dimoko Korkus.com: Stephanie Linus Wins Best Protagonist Award At The Bentonville Film Festival Arkansas, USA. 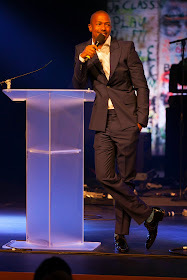 Stephanie Linus Wins Best Protagonist Award At The Bentonville Film Festival Arkansas, USA. Am excited for this lady enh u guys don't know how much. Father please bless her with fruits of the womb this year. Amen. Love how you set your ynash. the yansh is getting bigger. the guy is doing good work. Congratulations to Stephanie and her crew,more power to their elbow. Congrats Steph keep making Naija proud. Much love to you. Congrats to her. Am impressed. Nice one. Oyibo and their funny names @ 'Trevor Drink water'..
Congrats gal....you deserve it !! I love you so much ! My celeb crush all day everyday !! Am sure the movie is gonna be superb. Stephanie is one the people that knows what they are doing in the industry. My love for steph is natural! Congratulation girl! God bless d work of ur hands.. This lady still dey do film?Naija with all this fake award na wa. Congrats Mrs Linus!....Love You long tym!